You will never die. Beyond the mortal boundaries of your physical form, you are an immortal being, living forever in a beauteous, radiant body of luminous spheres in multiple dimensions. 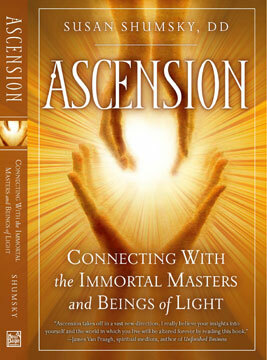 Ascension - Connecting with the Immortal Masters and Beings of Light will open your eyes to these spheres. You will begin to awaken your true, immortal self - a magnificent being of brilliant light, radiance, and glory. Ascension leads you into the depths of your being to recover what might be called your higher self, guardian angel, inner guru, spiritual guide, master-teacher, or God within. You will meet and consciously communicate with deities, angels, archangels, and masters from worldwide traditions, as well as divine beings personal and unique to you. All of them are eager to meet and communicate with you. - How to meet the ascended masters and angels of light. - Stories, beautiful paintings, and drawings of these immortal beings. - What it means to experience ascension and walk beyond death. - Stories about visitations from divine beings. - People living today who might be ascended masters. - Inspiring messages from the immortal masters and deities. Award-winning author, greatly respected spiritual teacher, pioneer in the self-development field, and highly acclaimed professional speaker, Susan Shumsky, D.D., has authored Divine Revelation, Exploring Auras, Miracle Prayer, Exploring Meditation, How to Hear the Voice of God, Exploring Chakras, and Ascension. She appears regularly in the media, and has been featured in Woman's World magazine, Cosmopolitan, GQ, NBC, CBS, ABC, and FOX TV. Dr. Susan Shumsky has practiced yoga, meditation, and other self-development disciplines for over 40 years. For 22 years she resided in remote areas, including the Himalayas and Swiss Alps, under the tutelage an enlightened spiritual master from India. She is now a full-time professional speaker and author of Divine Revelation, published by Simon & Schuster, and Exploring Meditation, Exploring Chakras, Exploring Auras, and Ascension, published by Career Press, and Miracle Prayer, published by Random House. Divine Revelation, P.O. Box 7185, New York, N.Y. 10116, 212-946-5132. Chapter 2: Who Are the Immortal Masters? Chapter 12: What Does it Mean to Ascend? Chapter 19: Practicing "The Easy Way"
If you look in deep water only, you will find the pearl. If you keep to the shore, you will find broken shells only. Beyond the mortal boundaries of your physical form, you embody luminous vibratory bodies in multiple dimensions. This claim might seem fantastic, but it concurs with the latest developments in theoretical physics. Superstring theory envisions a ten-dimensional or eleven-dimensional space-time in which elementary particles are like musical notes played on a violin - "excitation modes" of inconceivably tiny elementary strings. In other words, everything in the universe is made of vibration and light in manifold dimensions - including you. Infinitesimal elementary particles are swirling, shifting waves of colliding vibrations. These subtle elements, when broken down into their primary components, are simply pure energy. There is nothing in this cosmos with any solidity or substance whatsoever. This book will open your eyes to these dimensions beyond mortal boundaries. You will begin a journey of awakening to your immortal self, which is who you really are. This light being of divine radiance and glory is your true nature, beyond the physical realm of death. You are not this body. You are not this mind. You are a magnificent being of brilliant, beauteous light - a being that never dies. Deep within your soul is a wise sage, the source of all wisdom. This "in-house counselor," is hidden deep in the recesses of your heart. Like a treasure buried at the bottom of the sea, it can only be used when brought to the surface. You have the capacity to dive deep within, recover this treasure, and open it. Only it takes faith in yourself and trust in a higher power. This book guides you into the profound depths of that ocean to reclaim the "pearl of great price. "2 It is said that this cannot be gained by gold, silver, onyx, sapphire, coral, or pearls, for "the price of wisdom is above rubies. "3 Where is such wisdom found? Where is the treasure more precious than any cargo from the seven seas? It is the chamber of jewels within your own heart. Nothing happens without your inner teacher's guidance. With every step you take, every decision, every move, your resplendent inner guru is always within you, guiding you, comforting you, and bringing you peace - even when you are not consciously aware of it. Now is time to realize your radiant, beloved inner guru. Now is time to open to the divine effulgence within yourself. Now is time to wake up and realize who you truly are - an everlasting, powerful, vast, glorious being. You have picked up this book today because you seek inner wisdom. Perhaps you have already awakened to profound inner realities. Or maybe you think you have not. In either case, this book can help you develop a deep understanding of the immortal nature of your being. How can I say this with such confidence? Because the wisdom and methods in this book have already helped tens of thousands of people realize their own eternal nature for themselves. Many psychic mediums say they "channel" so-called higher beings. They consider these "spirit guides" to be external entities, disconnected from the soul of the "channeler." But in this book you will learn who the real divine beings are and where they truly live. You will discover the wise, all-powerful, all-loving, undying nature of your own eternal higher self and the loving teachers that guide you on your pathway. Here you will meet many divine beings on this journey to self-discovery. Some of them are traditional deities, archangels, ascended beings, and masters from worldwide cultures and traditions. Others are personal to you. All of them are eager to meet you and communicate with you. - Who are the ascended masters and divine beings and how to meet them. - Stories, beautiful paintings, and drawings of these immortal beings of light. - How to begin your own ascension process. - Stories about miraculous encounters with ascended masters. - Stories of the some ascended master messengers. - Stories of people living today who might be ascended masters. - How to meet your own inner divine teachers and discover their names. - How to hear, see, feel, and get "signals" from your inner teachers. - Messages from the divine beings and masters of immortality. A: Immortality is eternal life. It means living beyond death. You have an immortal spirit, an eternal soul that never dies, even when your physical body dies. You live forever in that body of light, no matter what physical bodies you inhabit during your cycles of incarnation. A: Ascension means consciously living forever in your body of light. After you attain ascension, you no longer need to take birth or death in a human body. You can appear whenever, wherever, and in any form, according to your will. Q: Who are the inner teachers? A: They are radiant, wise masters of light within you: beautiful, divine, radiant light-beings dwelling in your own heart and soul. They may be deities, angels, archangels, ascended masters, divine beings, or aspects of your own higher self, such as your "I AM" self or soul self. You will discover them as you read this book. A: Ascended masters are enlightened humans who have attained physical immortality by transforming their physical bodies into more refined, luminous, subtle material. In this book you will read about many of them and see how some of them have appeared. Q: Can ordinary people attain ascension? A: Anyone with a sincere heart can aspire to this lofty pinnacle of human expression in divine form. Few have achieved this goal, but it is open to all. In this book you will learn more about walking beyond death and attaining physical immortality. Q: How can I communicate with ascended masters and spiritual beings? A: The entire secret to receiving messages from these divine beings is to ask for it. Anyone with earnest desire can receive divine revelations within their own heart through subtle sight, sound, and sensing. Through this book you will begin to do that. Q: Are the methods in this book difficult to practice? A: This book is easy to understand, logical, and practical, with simple-to-learn methods requiring no previous experience, background, training, or knowledge. Q: Is this yet another ascended master cult, with strict rules and regulations? A: This is not a cult. The universal techniques offered here impose no restrictions and are compatible with other religious philosophies, lifestyles, and personal beliefs. Q: What if I do not agree with what is proposed here? A: You may not agree with the concept of physical immortality. You may think that death cannot be overcome. However, if you have an open mind and are willing to participate in the experiment, this book can awaken you to the possibility of eternal life, beyond mortal limitations. Eternity is your own nature. It is not something far away, impossible to attain, or reserved only for prophets that lived thousands of years ago. You were born to live immortal life and walk beyond death now. You have within your own soul a resplendent being of light that never dies. That is who you really are. Trust in that and place your life in the hands of that divine master of immortality. That inner guru will guide you home again to the place of perfect peace and eternal life - your true abode. You are blessed and beloved of God, and your immortal self is one with God. When you find that buried treasure, never will you be alone again. This book will open your mind and heart to the abundant riches of that treasure chest within. You will discover and meet the immortal masters of light. You will develop your own awareness of eternal life within you. Your heart and soul will open to new vistas of consciousness not yet awakened within you. You will sail into an ocean of eternal life on waves of bliss. Let us begin our inner journey to immortal life now. "Ascension takes off in a vast new direction. I really believe your insights into yourself and the world in which you live will be altered forever by reading this book. Congratulations Susan on another mind opener!" "I love Dr. Susan Shumsky and her books. I'm excited to say she has written and illustrated yet another magnificent book. In her original and unique work Ascension--Connecting with the Immortal Masters and Beings of Light, she manages to unearth arcane mystery teachings that simply cannot be found elsewhere. Ascension not only tells the history legends of various Immortal Masters and Ascended Beings, but it also provides the secret keys that unlock the door to physical immortality. Think about it. Read this one right now!" "This is a good collection of historical people rarely found in one place. Everyone can thnk about them to activate more of our divine potential." --Leonard D. Orr, founder of Rebirthing, author Breaking the Death Habit: The Science of Everlasting Life. "This book will be a thrill to your soul! It will move you from the mundane to the miraculous. Everyone deserves to know their true potential and you will be in radical amazement that Physical Immortality and Ascension can be yours. Thank you, Susan. Your work is amazing." 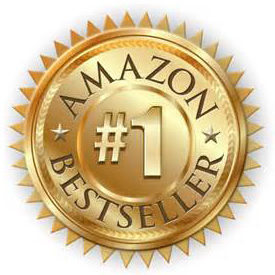 "This is the most stunning, awesome book about Ascension I have ever read. The book is fascinating. I could not put it down. The stories are fantastic and incredibly inspiring. Who knew that people of today live as ascended masters? I would recommend this book to anyone who thinks they know what 'ascension' or 'avatars' are, because they likely don't have a clue. Shumsky knows, and she shares this information so beautifully and meaningfully with us. She has been practicing spirituality and meditation for well over 40 years, studying over 22 years in an ashram with famous Maharishi Mahesh Yogi, guru of the Beatles and Deepak Chopra, and founder of Transcendental Meditation. She was on Maharishi's personal staff for 7 years. She is a pioneer in this field, and she knows how to make this deeply arcane subject understandable for the rest of us." - George, New York City.